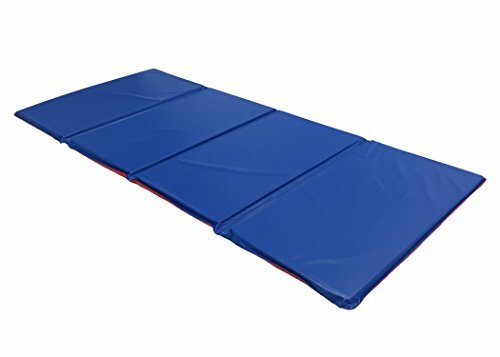 The Basic KinderMat Rest Mat is ideal for home, school, daycare, and traveling. It's light weight and compact design makes it the perfect rest time accessory for when space is limited but comfort is still a priority. Measures 19" X 45", 1" thick and tri-folds up to 11" X 19". A red and blue color combination offers the perfect solution to keeping track of what side touches the floor and which side is to lay on. Constructed of a 5-Mil vinyl covering and foam filling. An added feature, this mat has a tough gray binding on the edges providing extra durability and strength. KinderMats are made in Minnesota. 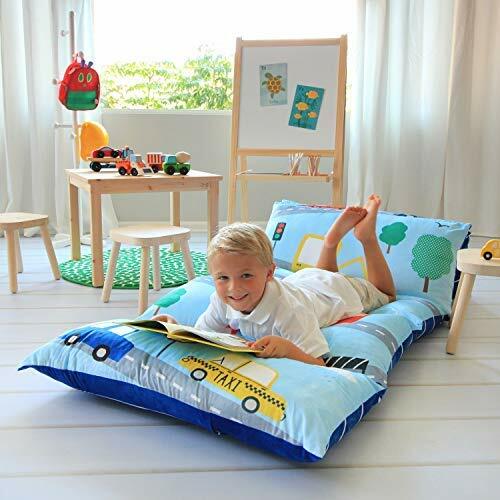 This mat is water resistant and a breeze to clean, just wipe down with warm soapy water or purchase a washable cotton sheet to cover your KinderMat. 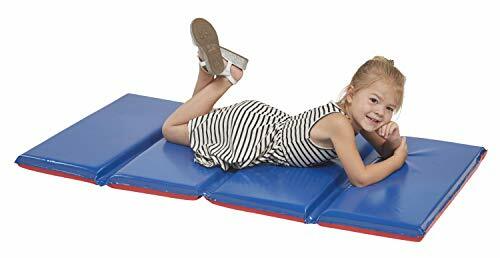 KinderMats km100 5/8-inch-thick basic rest mat is the perfect option when space is limited and comfort is a priority. These 4-section tri-fold mats fold flat to 11x45x2.5 inches. When laid out these blue and red combination basic KinderMats measure 5/8x19x45 inches. With a 5-mil vinyl covering they are easy to clean with warm soapy water. Making them perfect for daycare, travel, home and everything in-between. Features 8-mil vinyl covering, 4 section mat, and is measured at 3/4"x21"x46". this product is great for ages 3 and up. 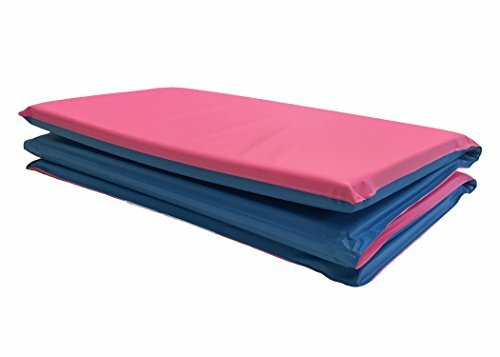 Heavy-Duty KinderMat rest mat, is just how it sounds, durable, strong, and tough. 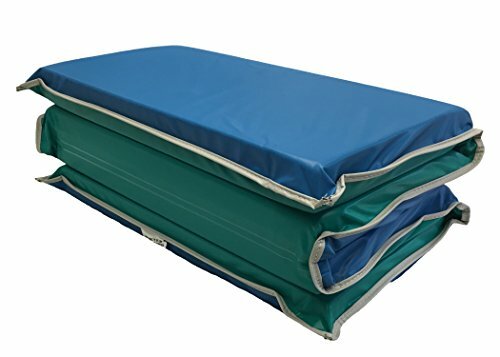 The blue/teal dual color design makes it easy to assign a side to lay on, and a side to lay on the floor. Made of a tough 10- mil vinyl, comfortable foam, and a strong light-gray binding. The four-section mat measures 24” x 48” and is 2 inches thick. The tri-fold feature makes it a perfect option for home, school, daycare, or travel! Folds down to 12” x 24”. Easy to clean water resistant surface, simply wipe down with warm soapy water. 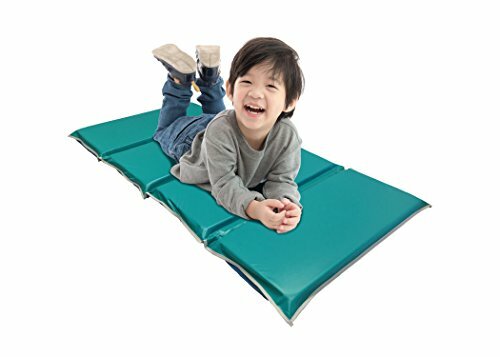 Make rest time comfortable for preschool age children with the Premium ECR4Kids folding rest mat. This 4-fold section mat features a 2-inch dense foam core covered in a heat-sealed and waterproof two-color sided 12 mil vinyl covering. Each includes a clear built-in plastic name tag holder to help children identify their individual mat. 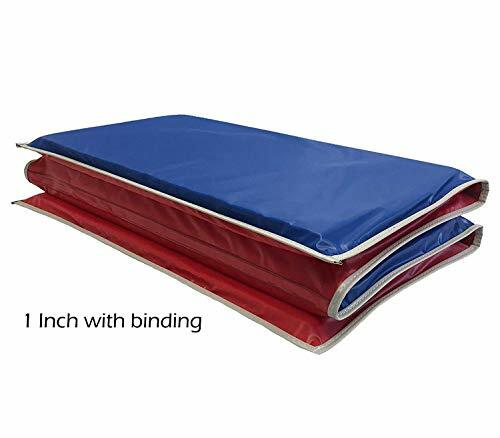 Rest mat folds down into four sections for space saving storage. Unfolded, the mat measures 2" H x 48" W x 24" D. ECR4Kids mats have achieved GREENGUARD [GOLD] Certification for meeting or exceeding standards for low emissions into indoor air during product usage. Recommended for use by ages 3 to 6 years old. 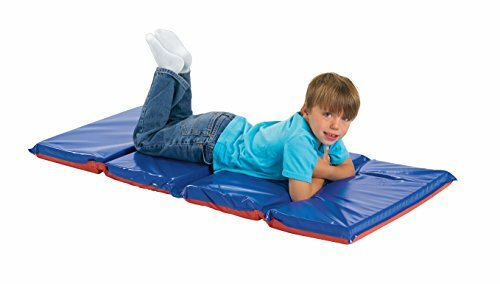 KinderMats Jr. Daydreamer rest mat is great if you are looking for a little more cushion for your kids. 44" x 19" and 2" thick. Made in Minnesota. Blue on one side, teal on the other, makes it easy to assign a side to put on the floor and a side to lay on. The tough 9 mil vinyl is water resistant and easy to clean as well as disinfect, simply wipe with warm soapy water. This mat is the perfect option for school, daycare, or home. Easy to store in a cubby or on the go with the tri-fold four section measuring to 8" x 11" x 19". An added touch to this mat, the gray binding provides extra strength and durability on the edges. AEL7130 Size: 2" H x 48" W x 24" D Features: -Completely sealed and waterproof. -Easy folding and storage. Product Type: -Rest mat. Color: -Blue,Red. Mat Material: -Plastic. Dimensions: Size 1" H x 48" W x 21" D - Overall Product Weight: -2 lbs. The EnduroMat is the strongest, toughest, and longest lasting of the KinderMat line. These mats are made of unbelievably durable vinyl, that is reinforced with polyester, and tear-proof. In addition, the EnduroMat has a high strength nylon binding that will not crack or fray. 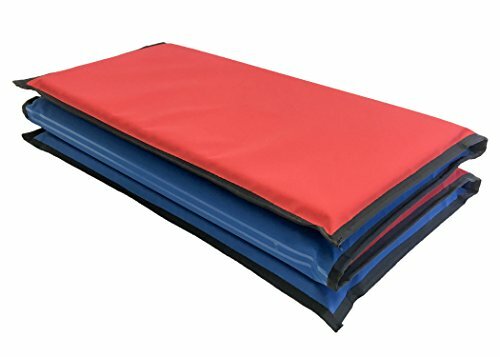 Your kids will be in dream land in no time on these comfortable, 1 inch thick, easy to clean, red & blue color combination mats! Measuring at 1” x 24” x 48” when laid flat. These mats have a tri-fold, four section design that makes storage a breeze, folding down to 12" x 24" x 4"! 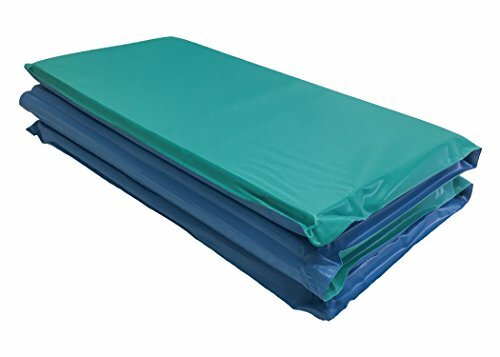 Size: 1\" x 19\" x 45\"1" x 19" x 45"
Peerless Plastics Blue/Teal KinderMat, 2" x 19" x 44"
Size: 19" x 45"19\" x 45\"